Abiding in the love of Christ requires that you become totally committed to living a righteous life as you give your all to Him. What do you think of when you think of Jesus's love towards the whole world--and towards you? It is a bit hard to fathom at times, but in 1 John 4:19 we are reminded that, "We love Him, because He first loved us." Isn't that amazing, yet so simple? The fact is that He loved us first, even though we are not deserving of it. Also, the truth that God sent His Son, Jesus Christ, to die for us here on earth demonstrates His unending love, as it tells us in John 3:16-17, "For God so loved the world, that He gave His only begotten Son, that whosoever believeth in Him should not perish, but have everlasting life. For God sent not His Son into the world to condemn the world; but that the world through Him might be saved." As you can see, His love is HUGE! When you believe and trust in God's Word for your life, and have complete and total faith in Him and His promises, your heart becomes filled with His peace and love. I have found this to be true in my own personal life. As the years have gone by, I've gained more wisdom and knowledge through trusting God in helping me with each trial/temptation in life, as well as teaching me to endure with Him regarding any other circumstance which may present itself to me. I find then, that my faith in Him grows stronger everyday because I love Him so much and I am assured of His love in return. 1 John 5:4 says, "For whatsoever is born of God overcometh the world: and this is the victory that overcometh the world, even our faith." Hebrews 3:6 also says, "But Christ as a Son over His own house; whose house are we, if we hold fast the confidence and the rejoicing of the hope firm unto the end." John 6:37 tells us, "All that the Father giveth Me shall come to Me; and him that cometh to me I will in no wise cast out." Hebrews 11:6 says, "But without faith it is impossible to please Him; for he that cometh to God must believe that He is, and that He is a rewarder of them that diligently seek Him." Is Christ the center of your life? Is He the One and Only Lord in which you answer or go to? 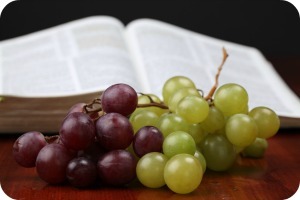 In scripture Jesus gives us the example of Him being our true Lord, the true vine. He discusses how we are to be in Him and what the consequences are when we are not. John 15:1-11 gives us the proclamation, "I am the true vine, and my Father is the husbandman. Every branch in Me that beareth not fruit, He taketh away: And every branch that beareth fruit, He purgeth it, that it may bring forth more fruit. Now ye are clean through the word which I have spoken unto you. Abide in Me, and I in you. As the branch cannot bear fruit of itself, except it abide in the vine; no more can ye, except ye abide in Me. I am the vine, ye are the branches: He that abideth in Me, and I in him, the same bringeth forth much fruit: for without Me ye can do nothing. If a man abide not in Me, he is cast forth as a branch, and is withered; and men gather them, and cast them into the fire, and they are burned. If ye abide in Me, and my words abide in you, ye shall ask what ye will, and it shall be done unto you. Herein is My Father glorified, that ye bear much fruit; so shall ye be My disciples. As the Father hath loved Me, so have I love you: continue ye in My love. If ye keep My commandments, ye shall abide in My love; even as I have kept My Father's commandments, and abide in His love. These things have I spoken unto you, that My joy might remain in you, and that your joy might be full." As you remain in Christ, your loyal witness and Christian testimony reveal your love, allegiance, and obedience to Him. When you continually think about Jesus and you guard your heart against this world's evil devices, you keep your mind, soul, and spirit steadfast in Him. Philippians 4:8 instructs us on how and what we should think about: "Finally, brethren, whatsoever things are true, whatsoever things are honest, whatsoever things are just, whatsoever things are pure, whatsoever things are lovely, whatsoever things are of good report; if there be any virtue, and if there be any praise, think on these things." This verse is a huge help to me when I find my thought life beginning to stray out of line and on wrongful things. Memorizing scripture verses such as this one gives you the strength and power to combat evil thoughts and situations that come up in your life from time to time. Only God gives the victory to carry on through His Word. HOW WELL DO YOU KNOW CHRIST? There is a huge difference between "knowing" Christ, and actually knowing Him. Many years ago I had to seriously analyze my relationship to Christ by praying and meditating on God's Word, asking Him to help me learn more about Him and to "know" Him in a more clear, intimate way. He led me through several verses in the Bible for knowledge and clarification. Here are just a few that helped me along the way. Look at what these passages of scripture say in terms of how we are to "know" Him in an intimate and personal way, verses just knowing about Him. John 17:3 declares, "And this is life eternal, that they might know Him, the only true God, and Jesus Christ, whom Thou hast sent." 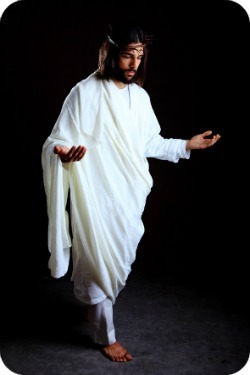 John 14:6 says, "Jesus saith unto him,'I am the Way, the Truth, and the Life; no man cometh unto the Father, but by Me'." Galatians 2:20 encourages us, "I am crucified with Christ; nevertheless I live; yet not I, but Christ liveth in me: and the life which I now live in the flesh I live by the faith of the Son of God, Who loved me, and gave Himself for me." 1 John 2:1-5 says, "My little children, these things I write unto you that ye sin not. And if any man sin we have an advocate with the Father, Jesus Christ the righteous: And He is the propitiation for our sins: and not for our only, but also for the sins of the whole world. And hereby we do know that we know Him, if we keep His commandments. He that saith,' I know Him, and keepeth not His commandments, is a liar, and the truth is not in him. But whoso keepeth His Word, in him verily is the love of God perfected; hereby know we that are in Him." Philippians 3:8-12 where it says, "Yea, doubtless, and I count all things but loss for the excellency of the knowledge of Christ Jesus My Lord: for whom I have suffered the loss of all things, and do count them but dung, that I may win Christ, and be found in Him, not having my own righteousness, which is of the law, but that which is through the faith of Christ, the righteousness which is of God by faith: That I may know Him, and the power of His resurrection, and the fellowship of His sufferings, being made conformable unto His death; If by any means I might attain unto the resurrection of the dead. Not as though I had already attained, either were already perfect: but I follow after, if that I may apprehend that for which also I am apprehended of Christ Jesus." In conclusion, as you become closer in your relationship to the Lord, He will lead you through various trials that teach you patience; through milestones that demonstrate His power and victory in your life; through His Word, which gives you daily instruction, and also through the lives of other seasoned, mature Christians who have walked the walk and who have run the course as testimony and witnesses to God's immense love and power! I encourage you, fellow believer; continue in the faith as you rely and trust in Jesus, knowing that He is the Author and Finisher of your faith. Remain constantly in Him, abiding always in His love, and He will abide in you. Decorating Your Home: Simple Or Fancy?